The Polisario Front was unable to stand up to the UN for a long time. Since the early hours of Friday, its armed elements, positioned in the buffer zone of Guerguerat, near Morocco’s border with Mauritania, started dismantling the makeshift check-ups they erected to block the truckers transiting between this Moroccan locality and northern Mauritania. It seems that the firm wording of the draft resolution that the UN Security Council is set to vote this Friday has strongly shaken the separatist front’s leaders who hastened to backtrack in their escalation in the demilitarized area near Gueguerat. 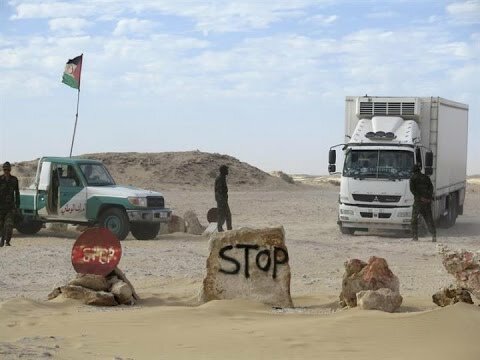 According to local sources, the Polisario militiamen received orders from the Polisario headquarters in Rabouni camp in the early hours of Friday to break the camp where they had set up a checkpoint for vehicles heading from Morocco to Mauritania. A source close to the Permanent Representation of France to the UN in New York said the representatives of Russia and Uruguay challenged the wording of certain paragraphs of the draft resolution that they considered “unbalanced”. The text pressured the Polisario and its Algerian sponsors to withdraw illico-presto from the buffer zone of Guerguerat not to expose themselves to UN sanctions. It remains to be seen whether the Polisario will definitively and totally withdraw its troops from the buffer zone, or whether it is using a mere tactical maneuver and planning to reposition its militiamen near Guerguerat once the resolution is adopted. In any case, the tone used by the Security Council in the draft resolution leaves no room for maneuvering and the Polisario has no choice but to comply with the UN demands. According to the recommendations of the UN Secretary-General, Antonio Guterres, as stated in the text of the resolution to be adopted this Friday, the position of the Polisario will be greatly weakened.